Meeting your favorite author is often a mix of excitement and a touch of fear. Will they be as awesome in person as you imagined? Will they have interesting things to say? Or will the moderator/interview ask awful questions? Or, if you are anything like me, will I say something profoundly stupid or awkward to this person you admire? This last question has been a concern that has plagued me for over 15 years. When I meet authors whose work I adore at book signings or talks, I often feel my conversation skills go swiftly out the door. I admire them so much that I don’t know what to say. So after 15 years of struggling with this, here are some helpful hints. I won’t claim to be an expert at talking to authors and artists but I think my stories will be helpful to those of you who suffer from this problem. Also, these rules won’t apply to every author/artist you meet, because frankly some are more responsive and understanding than others. But don’t let that stop you from meeting your favorite creative people. Tell them you like the book and how much it means to you. This seems so simple but it’s not something I did when I met someone who I admired. I would mostly mutter thank you and scamper away after they wrote in my book. 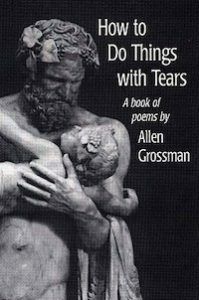 After one reading, I realized how powerful this was when I got to meet my favorite poet, Allen Grossman of How to Do Things With Tears, in college. I finally mustered up the nerve to talk to him and said, “I know you probably hear this all the time, but you’re my favorite poet.” To which he responded, “No, I don’t hear that all the time.” It was a like an electricity bolt hit me. Tell authors that you love their work. Don’t assume they know why you love it or that you even do. Again, this seems like an obvious thing but once I realized that authors (or some) like to talk to their readers, it opened up the opportunity to have real conversations. I usually ask if they’ve been to Chicago before and that can open up a conversation about things to do and see. Granted, this did lead me down the pathway of talking about taxidermy for waaay too long with Erica Henderson, former artist of Squirrel Girl, at the recent comic book convention (C2E2) so there’s that. Maybe stay away from taxidermy and especially severed heads (yeah, I have those topics as defaults that I have to work out of my system). 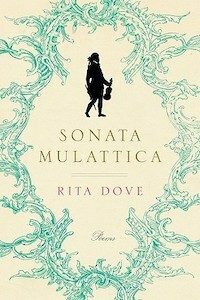 When I got to meet Rita Dove, the incredible poet, I told her that her poem “The Fish in the Stone” brought me out to her reading of Sonata Mulattica. She was surprised because it’d been a while since anyone had brought that poem up to her. It made me extremely happy to see her reaction. Authors get the awkwardness (or many do). We imagine authors to be these awesome fully confident people who tell us about the world we live in (or we could imagine we live in). But they were probably once like us, stammering when meeting their favorites. 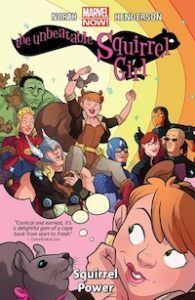 I got to meet Ryan North back in February and managed to tell him “Squirrel Girl got me to start reading superhero comics.” He asked me “What superhero comics do you read?” And of course, my mind went as blank. I responded, “I can’t remember a single one.” He laughed and said, “When people ask me what my favorite books are, I end up saying: ‘Books. I haven’t read any books.’” So he gets that anxiety. It endeared me to him even more than I already did. So while I had the problem of not saying much to my favorite authors, don’t take it to the other extreme. They likely will have a lot of people waiting for their minute with them so you don’t want to dominate the situation. And don’t interrupt when someone else is talking to them. I was talking to a scientist (okay, not an author) about something she said and a person interrupted our conversation completely to ask their own question. We both kinda stared awkwardly at each other and I ended up handing her my card to follow up later. Keep going to your favorite author’s signings and talks. If you want to learn some other Rioter’s tips, check out this post on how to talk to authors at parties (which is a whole other thing), or other tips on attending a book signing.